Automation of Warranty Management applications helps improve warranty KPIs and reduce costs. But there is another other side of warranty that connects to the field repair process, which is often overlooked. Service technicians are usually in the field to fix the customers' problems proficiently, and should not be bothered with any other issues that could delay or hold their work. Be it preventive maintenance, unscheduled repair or warranty replacement, troubleshooting and decision making in the field is often intricate and time-consuming. Also, field technicians strive to understand complex contract or warranty entitlements, policies, or service bulletins to make on-field decisions on troubleshooting or to evaluate the coverage for billing and warranty or service contracts. 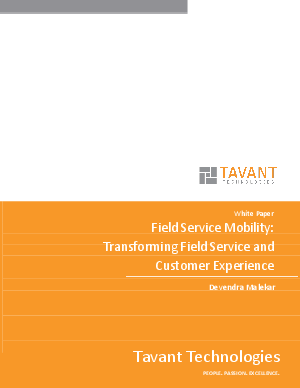 Therefore, it's important for organizations to mobilize their field service staff by automating the field service tasks, and connecting transactions in the field with warranty, contracts and other backend ERP systems.